Detach the perforated cardboard cut-outs with your hands and construct a piece of furniture. 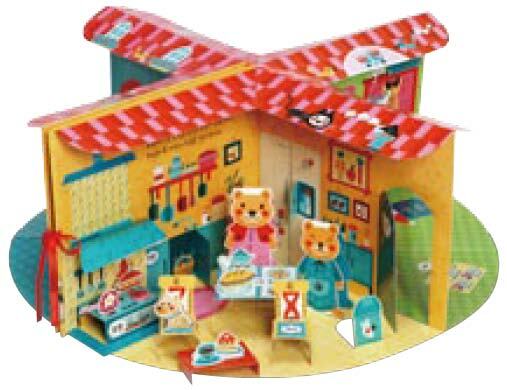 Decorate the room and do role plays. Kids can enhance their EQ and creativity in no time and have lots of fun along the way. The book allows for 400 different plays using diverse materials. preschoolers and elementary school students can enjoy it. Babies can build the foundations of math according to their age-level and learning ability. These workbooks contain various activities like lining, coloring and placing stickers, so babies can learn math without getting bored. This series consists of one book for learning the basic concepts of math and a practice book. Left Brain, Right Brain: IQ Up! Kids can develop logic, language, numeracy, observation and creativity skills with these great activity books that really stimulate their thinking. 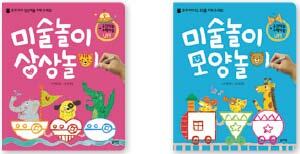 The series also includes two drawing books to develop the perception and creative skills for kids. Draw the faces of your loving grandma, grandpa, mom and dad, and write their names down as you turn over this book. Spiral binding makes it is easy to spread out the book and draw. Fun Art Activities with Imagination will nurture children’s imagination and help them develop their understanding of objects and animals and increase their level of IQ and EQ by stimulating their senses. 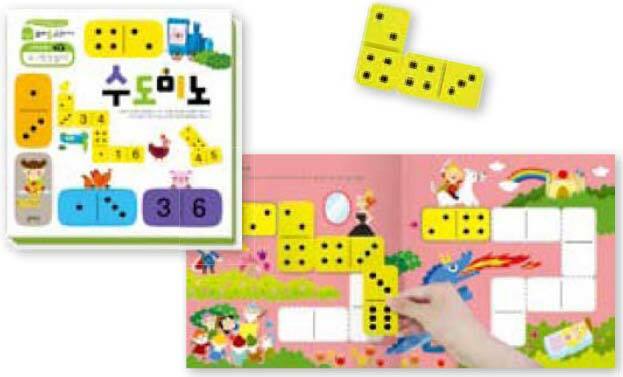 30 big dominoes and a text book with many challenging tasks make toddlers familiar with numbers. It also teaches toddlers various number concepts. 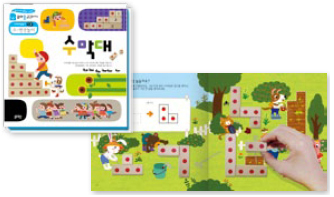 With all the circles, triangles, squares included in this book, children can play games that sort out the shapes into different colors, shapes, and sizes. 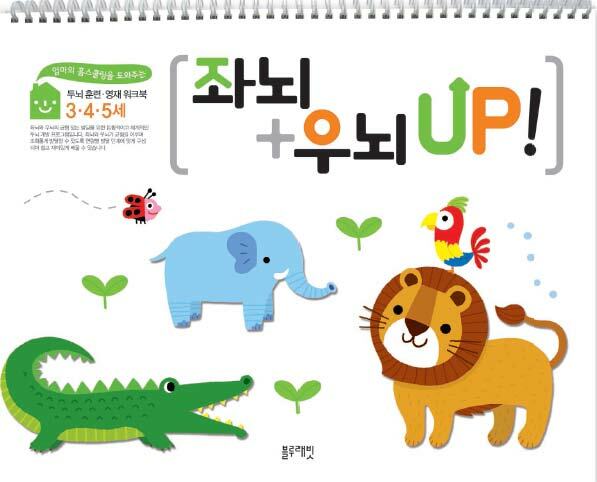 This book consists of 72 matching cards such as things to ride, animals, and fruits. Children can enjoy playing the card games as they sort out the things from the same category. Toddlers can learn the concepts of numbers by playing with and comparing the number sticks. The 21 wooden sticks included in this set consists of various lengths according to their number. By solving the problems in these books, children will find that their concentration, observation and confidence will grow in no time. They will also have adventures while finding the hidden pictures, spotting the difference between two pictures and finding their way through the mazes. There are four more titles in this series! Pucca has a great deal of dreams! Meeting the Queen in England, participating in the Rio Carnival parade in Brazil and much more. 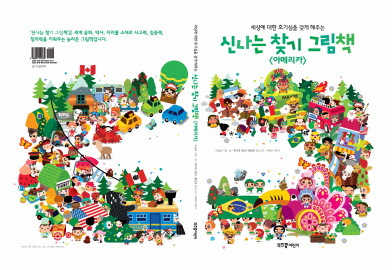 These books include the activities of finding people, national flags, capital cities, differences between two pictures, and solving quizzes. So with these books, children's curiosity about the whole world will grow as well as their concentration, observation and thinking abilities. There are two more titles in this series! Have you ever felt frustrated because you can't draw something you really want to draw? While tracing along the dim outlines, children are able to draw pretty princesses. 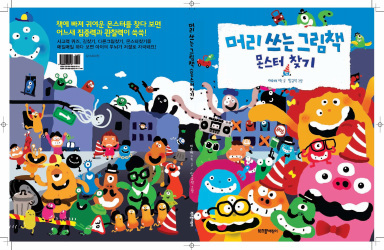 This book gives confidence and a sense of accomplishment for children and gives freedom to their parents! It is not easy to draw people's faces. But drawing a nose, mouth and eyes are easy enough for even five years old to draw. How about gathering all your family and letting each of them finish drawing a face in the book? Don't forget to evaluate one another's drawings!